Most modern day Endodontists and general dental practitioners that choose to provide a wide range of endodontic services and procedures for their patients must become familiar with the use of ultrasonics in their efficient delivery of these services. As with many of the instruments and technologies that clinicians utilize, most of us have come to the realization that if these technologies are delivered ergonomically we will readily use them. If on the other hand these instruments are not readily available they might not and most often do not get used. It simply becomes too much of a hassle either for yourself or your staff to move equipment from room to room on any kind of a regular basis. 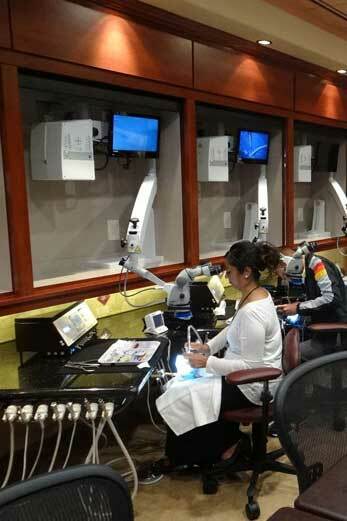 As many endodontists realize ASI is one of the few companies internationally that provide ergonomic delivery of myriad instruments from numerous manufacturers. ASI does this in the form of integrated delivery carts, delivery units and other preferences such as over-the-patient and cabinet mounted systems. These ASI delivery systems can be positioned from either side of the patient or at rear delivery depending on the clinician’s preference. 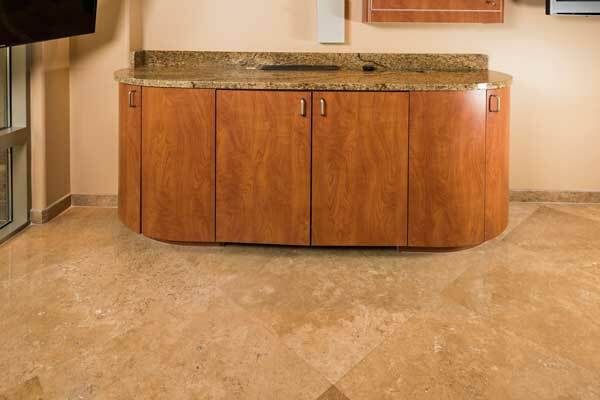 One of the most important stress reducing innovations is the ergonomic delivery of various components utilizing a SINGLE FOOT CONTROL. Wow! In my opinion, with this innovation there is a major reduction in the stress level each time a clinician picks up a different instrument but still uses the SAME FOOT CONTROL. This to me is a major breakthrough in terms of efficiency. These instruments are placed in a readily available position that does not require a staff member to go to another part of the office to move to the new required place of intended use. 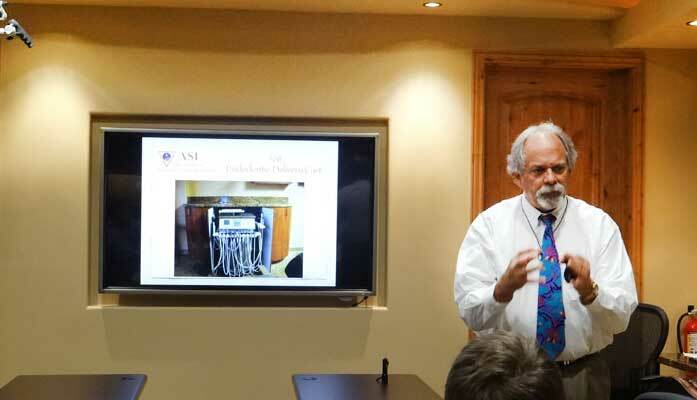 ASI has developed a reliable method to deliver two ultrasonic handpieces from one module off their delivery carts and units. ASI’s Dual Ultrasonic Control Panel features a digital display that allows you to select the power level most appropriate for operation of the ultrasonic tip. Each ultrasonic handpiece has four memory positions that can be programmed to 1-100 unique power settings. The panel is placed in the dashboard of the delivery unit which allows the clinician to easily see what the power intensity setting is for a given ultrasonic handpiece as well as which handpiece that power relates to. This innovative instrument instantaneously allows the endodontic clinician specific advantages that traditional analog versions do not. At least two different ultrasonic tips can be utilized during the same procedure without the need to either change tips or ultrasonic handpieces. 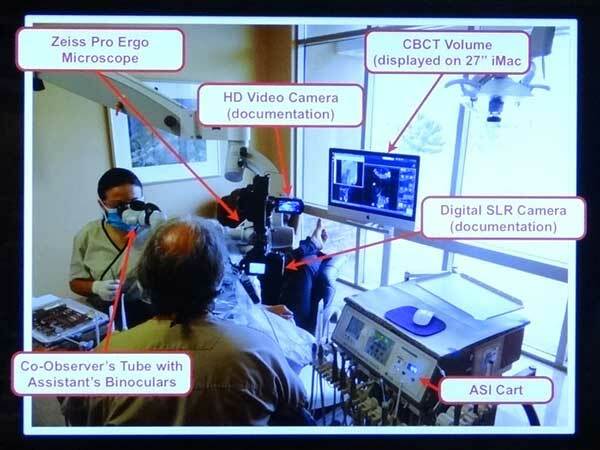 In addition, a clinician could have additional tips available if the procedure dictated having additional handpieces available with different tips. This can save the clinician and staff valuable treatment chair time. While sometimes it may be only a few moments the minutes and seconds do add up and the patient appreciates anything that we can do to reduce the patient chair time. 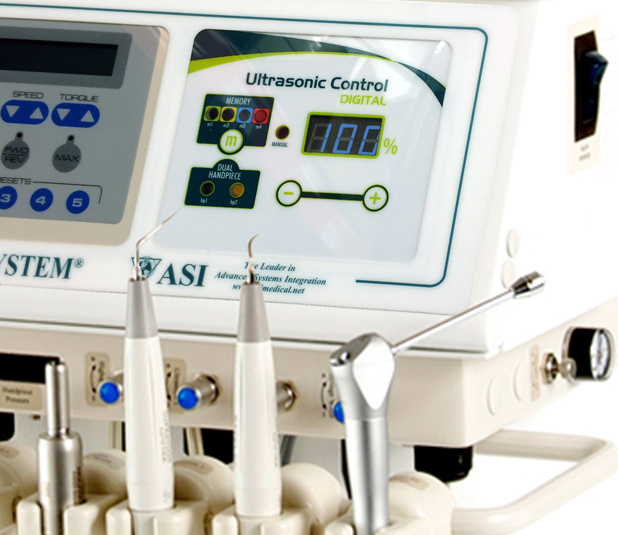 Utilization of Dual Ultrasonics controls on an ASI delivery unit also allows the endodontic clinician to preset different amounts of ultrasonic energy to a given tip even prior to the inception of the procedure. For example a very small ultrasonic tip may operate most efficiently with the power at a very low setting while a larger more robust tip may operate most efficiently with a higher power setting. Setting these energy power levels even before the patient is in the chair can be both efficient and cost effective. A well trained staff member can not only set up the ultrasonics but with the proper coaching can even set the initial energy levels to start the intended procedure. Not only can this save valuable chair time but can save monies because too much energy to an ultrasonic tip can either result in breakage or a shorter life for the instrument. And many of us know that there is truly a “sweet spot” where ultrasonics operate most efficiently and safely. This can often only be found by the experienced endodontic clinician most familiar with the intimacy of microsonics. 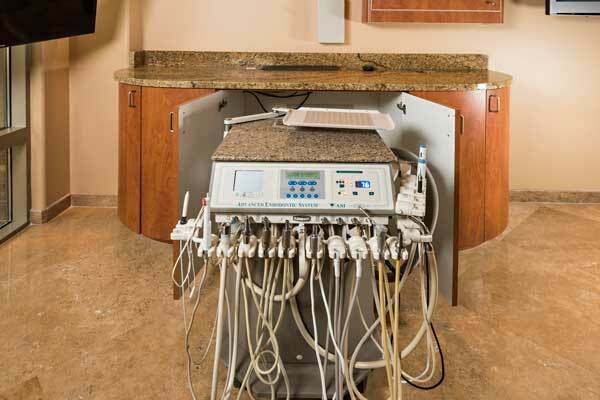 There are many procedures where dual ultrasonics can improve performance and efficiency. A simple example of a two-tip procedure might be the removal of a post. Sometimes it is advantageous to use a small ultrasonic tip to remove a post luting agent like composite and then utilize a larger tip, like a paddle tip, for application of higher, more gross ultrasonic energy. Not only does the dual ultrasonic handpiece control allow a clinician to use two different tips concomitantly but also he/she can use these tips at different energy levels depending on the tip activity, manufacturer’s recommendations and intended use. Another area where the Dual Ultrasonics can really come in handy is refinement of an endodontic access cavity when ultrasonics is being utilized. Sometimes it is the strategic removal of tenacious pulp stones or troughing an isthmus in evaluation of the presence of a middle mesial in a lower molar where more than one ultrasonic tip can allow your endodontic spelunking to simply be more efficient. More than one ultrasonic tip can be very useful for careful, safe, vision-enhanced exploration of an area looking for the sometimes-elusive MBII. The examples listed here are just a few of the many areas in clinical dentistry and endodontics where multiple ultrasonics tips used synergistically can make a difference. 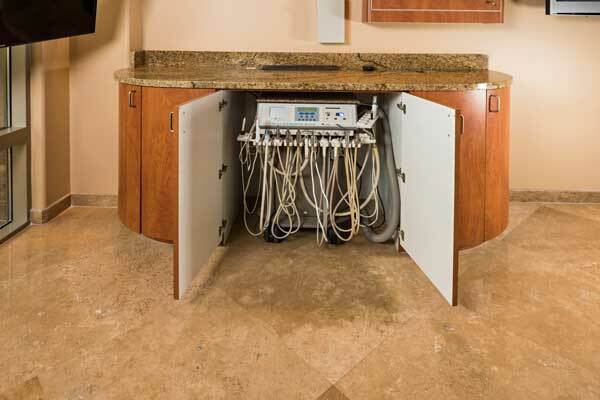 As more clinical procedures are done with ultrasonics and more tips are developed, the advantages of having dual ultrasonics delivered ergonomically will undoubtedly increase. Whether it be a relatively simple ultrasonic procedure or a more complex one there is little doubt that more than one ultrasonic tip ready to use and set at the proper energy level can allow the procedure to take less time and be more cost effective in the process.